Although undoubtedly useful, reviews and rankings are not enough to have a clear and comprehensive view on the hosting topic. In fact, there is absolutely no better hosting, but there certainly is one that can fully satisfy all our needs. What kind of site are we going to create? What software do we need to develop it? We learn to answer these questions before proceeding with the purchase. Nothing is more important than having a web hosting service 24 hours a day, seven days a week. 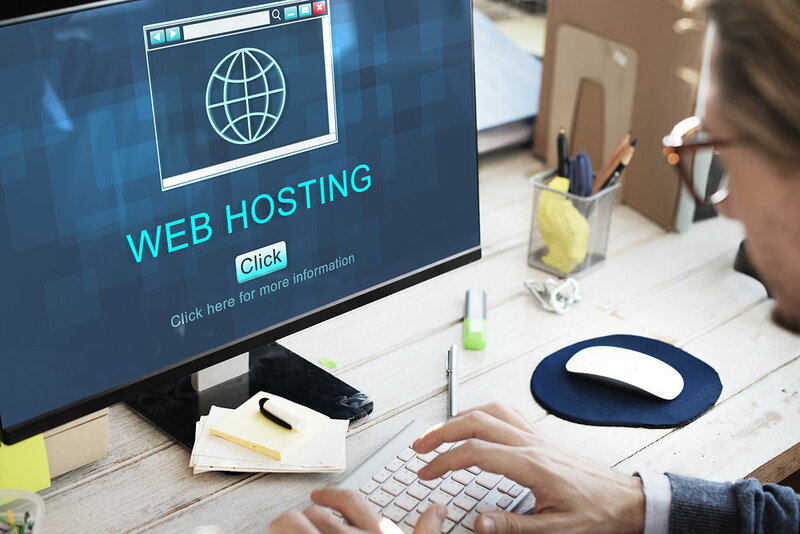 A professional hosting guarantees its customers high-performance servers and stable network connections, so that our site is always reachable even in periods of high traffic. So watch out for SLA (service level agreement) and downtime, and the hosting provider’s obligations in case there is more downtime than written in the SLA. On the web, a domain defines what we are and what we do. According to the latest online business models it is vital to be able to manage multiple domains under the same web hosting. Let’s make sure, therefore, that our hosting profile includes this very important feature. Thanks to the extraordinary technological evolution of the last few years, shared hosting (i.e. servers hosting different websites) increasingly represent a valid alternative for those who want to gain visibility on the Net by investing very small amounts. It is not uncommon for hosting providers to offer very low subscription costs to their users. Unfortunately, however, behind these tempting offers there are hidden, often willingly, onerous and cryptic renewals from which it is possible to protect oneself by checking the conditions of sale in advance. When it comes to refunds, each web hosting establishes its own rules. Since there is no single regulation that regulates this matter, it is of fundamental importance to read up before signing the service. SAAS up-to-date hosting such as AutoScript Installer, SSH, FTP and SST are essential digital tools for the correct management of any website. Unfortunately, even today, there are numerous web hosting without these essential features. Also in this case it is necessary to play in advance and inform yourself in advance. E-commerce undoubtedly represents the natural evolution of any online business. Therefore, let’s make sure that the web hosting we have our eyes on is equipped with a properly updated e-commerce platform. 9) Terms of service … these strangers! Perhaps not everyone knows it, but each web hosting tacitly reserves the right to suspend an account if the latter has consumed too much CPU (even in the case of unlimited bandwidth profiles!) Or if it has violated one or more rules provided for in the contract of subscription. Let’s not forget to read it before paying! 10) Green hosting? Yes thanks! An excellent business card to present yourself on the Internet is to support the environment through a responsible choice: unlike its competitors, a “green” hosting has zero CO2 emissions and respects Nature. Associating an e-mail address with a unique domain is essential for being easily recognizable on the Web. In the event that our web hosting does not allow the creation of a user type: email@doamain.com, let’s not get lost! Complementary services like Google Email App allow you to remedy this problem without necessarily changing providers. On the Internet, sudden crashes and hacker attacks are the order of the day. Let’s make sure, therefore, that our web hosting regularly backs up the database and files to avoid unpleasant surprises in the bud. But don’t just rely on hosting provider backups! We too must always make backups. A professional hosting must guarantee a fast and efficient customer service through synchronous communication channels such as live chat and similar. Usability is one of the fundamental aspects of Web 2.0. The best hosting providers meet these new quality standards thanks to usable and easy to use control panels. For example cPanel is an excellent intuitive and simple to use hosting interface. Several hosting providers offer cheap subscription prices as long as you subscribe to the service for a period of time ranging from three years upwards. We accept this kind of contract only if the hosting company is sufficiently accredited.